We deeply love coffee. Like we will travel long distances to find the best coffee. Even if that means barefoot, in the snow, uphill both ways. Good coffee warms the soul. 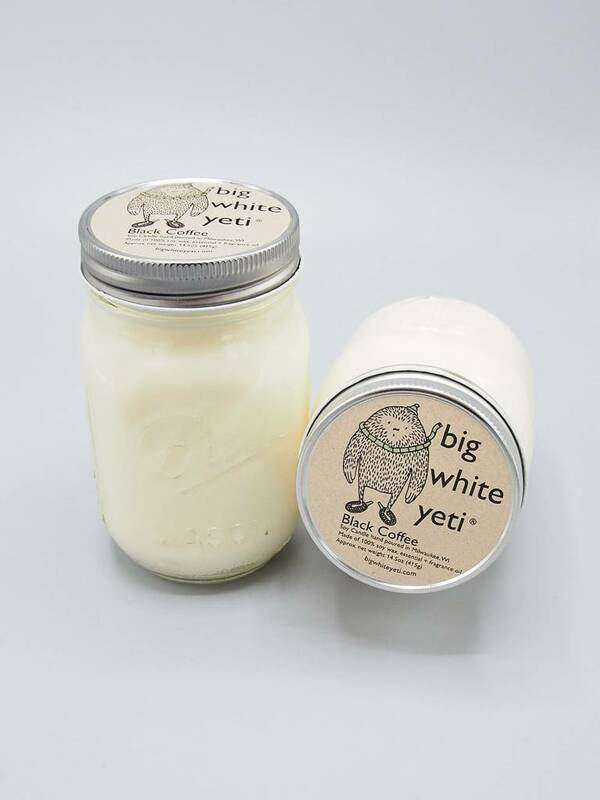 Big White Yeti has been searching, and testing and tweaking a blend of essential and fragrance oils for almost two years to get a candle that smells the way our morning cup of coffee smells. This soy candle is a complex blend of bitter-sweet chocolate, coconut, almond, honey, caramel, coffee bean and burnt sugar. Sounds like a lot, right? It is. But together- it's a traditional coffee scent. It's strong. And it's awesome. 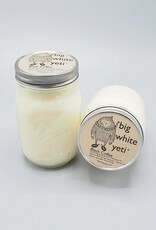 These pint size mason jar candles hold about 15 ounces of wax each. This candle burns so cleanly that after it's finishing (about 80 hours! ), simply wash it out with warm, soapy water and use the jar as a beautiful addition to any room in your home. Candles are hand poured and contains 100% soy wax (no paraffin or palm additives), a cotton wick, and essential and fragrance oils.